Uniquely defined with a soft rustic character, Alpine knotty alder is lightly distressed. This treatment is applied to doors, drawer fronts, deluxe panels/ends, matching and functional ends. 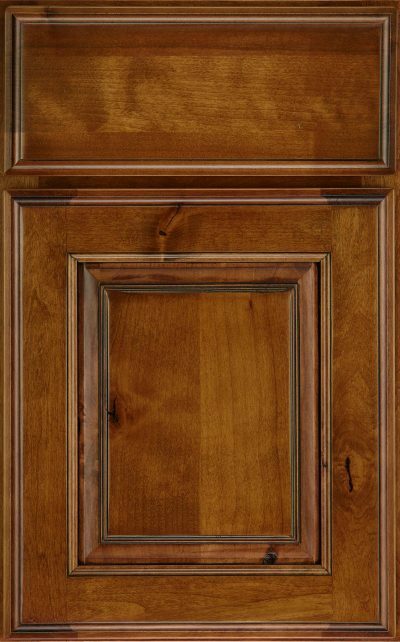 Face frames, standard finished ends, interiors, moldings, and accessories are not distressed.